This 100% seed cylinder is excellent for squirrel prone areas, as squirrels generally don’t like safflower. These cylinders are preferred by cardinals, grosbeaks and more, where grackles, sparrows, and starlings generally don’t like safflower. 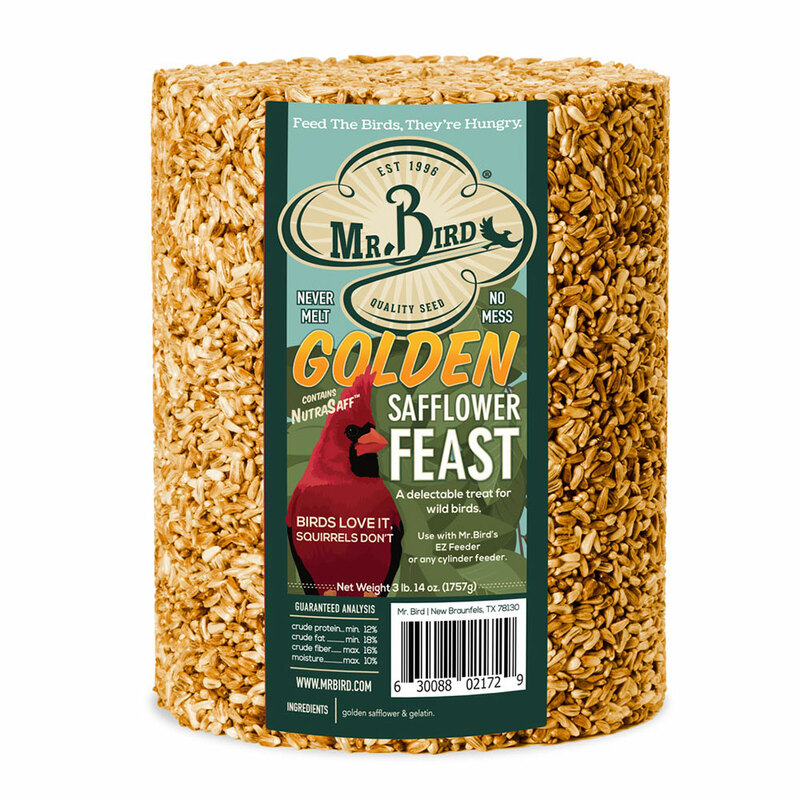 The golden safflower seed is softer than traditional safflower and therefore attracts a great variety of birds. 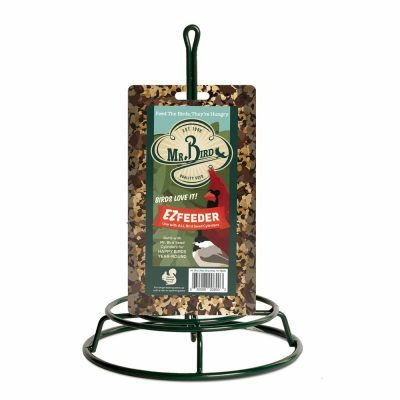 We like to offer these on the Mr.Bird EZFeeder (item 800) or on a platform feeder. Its large size lasts a long time and attracts loads of birds. No waste, no mess, never melt.